Online poker was made for tournaments. If you want to have fun while you play poker, and maybe bag some giant cash prizes along the way, Bovada Poker is the place to be. There are hundreds of poker tournaments to play every week, with deep player pools – and deep prize pools, too. No other US-facing poker room can offer you this. We’ll show you how to play poker online at Bovada, with a special focus on getting the most value out of all these online poker tournaments. Before you sit at the tables, you’ll need to sign up at Bovada Poker. This is completely free, and it only takes a moment to fill out the one-page form. Once that’s done, you can download and install the desktop client; Windows and macOS versions are available. Open the client, log into your account, and you’ll be welcomed into the Bovada Poker lobby, where you can see the full schedule of tournaments to play. Before making your first deposit and jumping into a real money game, we recommend you get familiar with your new environment with a Play Money game. New players receive 1,000 in Play Money chips; when your balance dips below 500, you can request more chips. Toggle the Practice button to see what Play Money games are available. 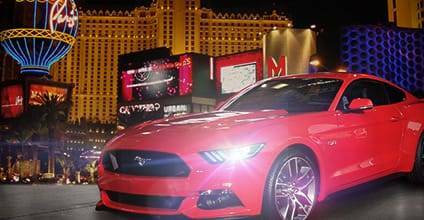 This is your chance to give Bovada Poker a test drive before putting real money in. Once you’re satisfied with what you see, making that first deposit at Bovada Poker is easy. Just look for your account information at the top of the client display, find your balance, and click Deposit. Then select your preferred deposit method from the drop-down menu. At press time, Visa, MasterCard, American Express, Bitcoin and Bitcoin Cash are all accepted. Enter the amount of your deposit, complete any other required fields that pop up, and click Deposit. That’s all there is to it. One other thing before you make that deposit: don’t forget to claim your 100% Poker Welcome Bonus when you make your first deposit. Bovada Poker will match your deposit dollar-for-dollar, up to $500, with your bonus money released incrementally over the next 30 days. The more poker you play, the more bonus money you can receive. Other bonuses are available throughout the year, so make sure to visit our Promotions page to see what’s in store. Even if all you’ve ever played before are cash games, the tournaments at Bovada Poker shouldn’t be too hard to figure out. Every player who enters a tourney pays a set buy-in, plus an entry fee, and receives a set number of starting chips; those buy-ins go into the prize pool and are awarded to the players who last the longest before running out of chips – usually around the top 10-15% of the field. To make sure people don’t just sit there and fold their way into the money, the blinds increase at set intervals, and in most tournaments, antes come into play after the first few blind levels. The more chips there are in the pot, the more incentive players have to fight over them, especially as their stacks dwindle in size relative to the big blind. Once you run out of chips, you’re out of the tournament; some tourneys allow you to rebuy, and others have add-on periods where you can buy more chips before you go bust. As the tournament rolls on and players get eliminated, you might find yourself being moved from one table to another. It’s important to keep the number of players at each table as equal as possible, so no one player is forced to pay blinds and antes more quickly than another player. Eventually, there will be only one table left: The final table. Play continues until there’s just one person left with all the chips. That player is declared the winner and receives the top prize, plus any trophies or special swag that might be on the line. 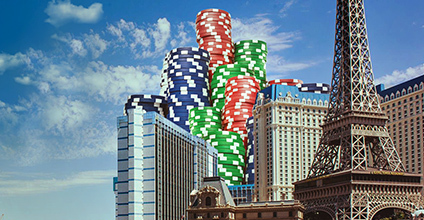 Just like the cash games, the tournaments at Bovada Poker come in three flavors: Texas Hold’em, Omaha, and Omaha Hi/Lo. 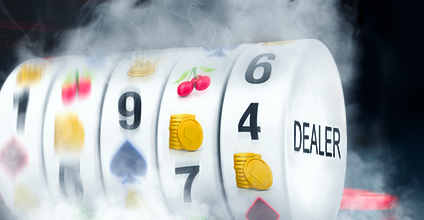 There are also three different betting structures: No-Limit, Pot-Limit, and Fixed-Limit. 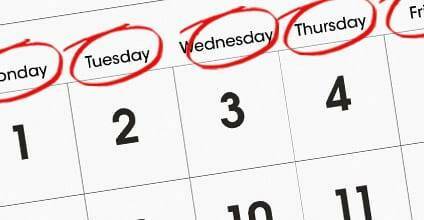 Most of the tournaments on the schedule are No-Limit Hold’em, but you’ll also find Fixed-Limit Hold’em, Pot-Limit Omaha, and both Pot-Limit and Fixed-Limit Omaha Hi/Lo. All these games will be well-represented at the bigger tournament festivals, which we’ll tell you about in a moment. For even more variety, you have your choice of different tournament formats at Bovada Poker. Sit-and-Gos are smaller tournaments that start as soon as the required number of people have signed up; it could be just you and another opponent heads-up, or you could join a pool of up to 180 players. There’s also the exciting new Jackpot Sit-and-Go, where you and two other players fight for a prize of up to 1000X your buy-in. For now, the Jackpot Sit-and-Gos are the only tournaments that can be played on your mobile device; just log in at Bovada Mobile Poker and use the web app to play. If you’re playing one of the many multi-table tournaments (MTTs) at Bovada Poker, you have even more options at your fingertips. There are tournaments with extended blind levels and/or deeper starting stacks, giving you more room to make big moves like 5-betting light or bluffing every street post-flop. Or you can speed things up with shorter blind levels by playing a Turbo, Super Turbo or Hyper Turbo. For an extra treat, try playing a Knockout or Super Knockout tournament; every time you knock someone out by taking their stack, you win a cash prize, regardless of how you finish. With all these different options, there’s a tournament at Bovada Poker for every player, whether you’re at the Micro stakes (buy-ins up to $5) or you’re a High roller ($75 and up). The biggest buy-in events are at the Sunday majors and the annual festivals, but you can qualify for as little as $1 by playing one of the many satellite events on the schedule. And keep an eye out for special freerolls, where you can win cash prizes without having to pay any buy-ins or entry fees. 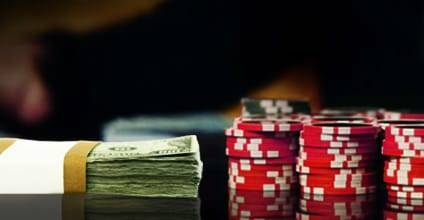 With so many tournaments to play at Bovada Poker, where should you start? Try some of the popular daily tournaments; there’s a guaranteed total of $1.5 million up for grabs every week. If you’re looking for the best Sunday majors in the business, the $100K Guaranteed takes place every Sunday at 4 PM ET, followed by the new $75K Guaranteed High Roller at 6 PM. 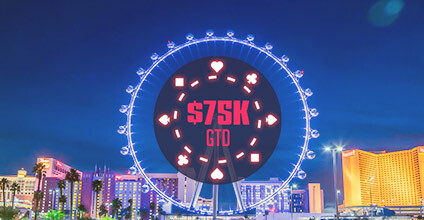 And don’t miss out on two of the biggest tournament festivals in online poker: the Black Diamond Poker Open (BDPO) in the early spring, and the Golden Spade Poker Open (GSPO) in the early fall. To view the list of tournaments running right now at Bovada Poker, log into the client and select Scheduled Tournaments from the menu. You can also view the schedules for Sit & Go Tournaments and the Jackpot Sit & Go format. Information on upcoming tournament series and festivals will be posted on the Bovada Poker website as it becomes available. You are now up to speed when it comes to playing tournaments at Bovada Poker. You know how to sign up and make your first deposit, how to find the games you want to play, and the basic game plan for what to do when you sit down at the table. 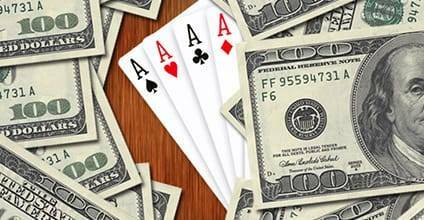 Start today with a Play Money game, and see why Bovada Poker is the No. 1 poker room for American players. We’ll see you on the felt. Once you’ve figured out how to play poker online at Bovada, the next thing to learn is poker strategy. Like any other sport, winning at poker is a combination of luck and skill; you can’t control which cards are dealt, but you can control which moves you make. Some players spend more time (and money) working on strategy than others, figuring out which moves are best in which situations. A few minutes a day is all it takes to gain an advantage over most players, but if you want to be one of the best, you’ll have to work harder at it. Generally speaking, survival is more important in tournaments than building your stack. You’ll need to pump the brakes more often in tourneys than in cash games. Doyle Brunson has compared it to observing speed limits, with the size of the big blind telling you how aggressively you should play. Indeed, as the blinds go up and your stack gets shallower, you’ll have more incentive to risk your chips and play more hands. But it’s a bit more subtle than that. There are times when you’ll have to play ultra-conservatively, like when you’re around 20-40 big blinds deep. And if you’re at the start of a tournament with stacks of around 100 big blinds, you can play just about any style you want – keeping in mind that survival is still more important than accumulating chips.